Winery hopping through Sauvignon Blanc Wine Country in the Marlborough Sounds and supping on fresh green lipped mussels. Enjoy a yacht charter in either Australia or New Zealand where there is a terrific yacht charter itinerary choice for every palate. Fly into Cairns to meet your yacht. After settling in, set sail past the mouth of the Daintree River and enjoy spectacular views of the adjacent World Heritage rainforest. At the end of the day, relax with a cocktail while enjoying a magnificent sunset behind the Alexander Range. 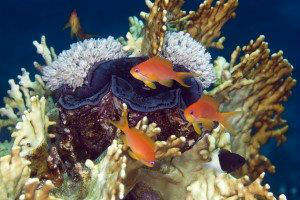 Head off to the outer reef to spend the day snorkeling or diving amongst the profusion of corals and colorful reef fish. Enjoy a barbeque dinner of freshly caught lobster or delicious reef fish served with fresh salads and fine Australian wines. After breakfast, cruise north along the Ribbon Reefs. Island hop through the inner reef islands, and perhaps stroll on a beautiful beach at sunset. 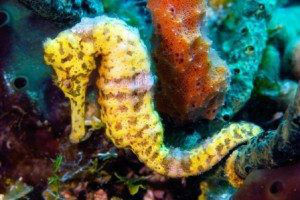 Spend the next day cruising along the Ribbon Reefs exploring the outer reefs. Spend the day scuba diving or snorkeling in this terrific underwater wonderland. 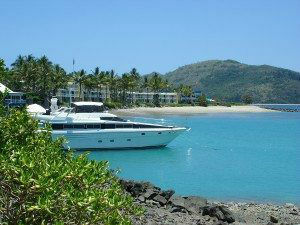 Cruise to the “Jewel of the Reef,” Lizard Island. Walk to the same lookout used by Captain James Cook, who discovered Australia. 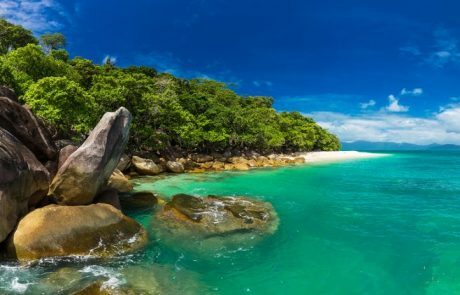 Lizard Island has spectacular “clam gardens” – coral gardens filled with amazing neon colored lips of giant clams growing within the coral, some clams being three feet in width. 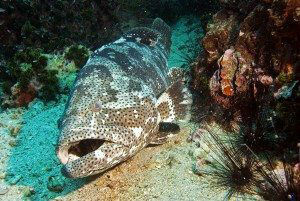 No visit to the Ribbon Reefs and Lizard Island would be complete without a snorkel or dive at “Cod Hole”. World famous potato cod, weighing up to 1000 pounds, gather in this area where underwater scuba divers and snorkelers can hand feed these giant fish. You’ll not soon forget this incredible experience of swimming among these huge, gentle creatures. 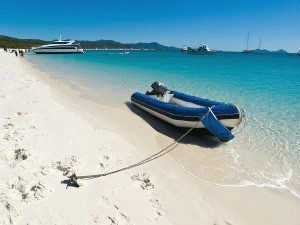 Enjoy another day of diving, snorkeling, swimming, or hiking ashore at Lizard Island. 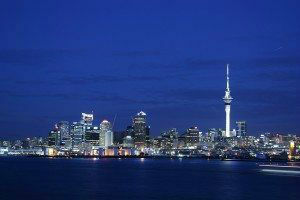 Arrive in Auckland and settle on board your yacht. Relax and review your itinerary with your captain before visiting the Sky Tower, the tallest structure in the South Hemisphere, for a panoramic view of the city and Auckland’s 48 volcanoes. If you are brave enough you can bungee jump off the tower and free fall for 192m supported by just a bungee cord. Return to the yacht to enjoy cocktails and dinner while spending the night at the dock in the Viaduct. Leave after breakfast for Waiheke Island. Take a mini bus tour of the island visiting Stoneyridge Vineyard and Mudbrick Vineyard and enjoy an afternoon of wine tasting. Spend the night on anchor. 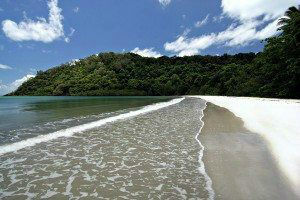 Cruise to a different bay on Waiheke or set out for the Coromandel Peninsula to a secluded bay. Enjoy water sports activities such as kayaking, snorkeling, wake boarding or water-skiing. Spend the evening on anchor. • Option 5: Hike to the top of Mt Hobson for fantastic views. Early in the morning depart for Leigh and Goat Island. 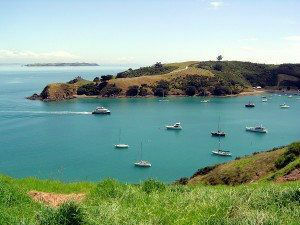 Goat Island is the country’s first marine reserve with 547 acres where the sea is virtually a giant aquarium. Visitors can snorkel and scuba dive and see huge snapper, blue maomao, crayfish, stingrays, colorful sponges and if you’re very lucky, orca and bottle nosed dolphins. Depart for the Poor Knights Islands. 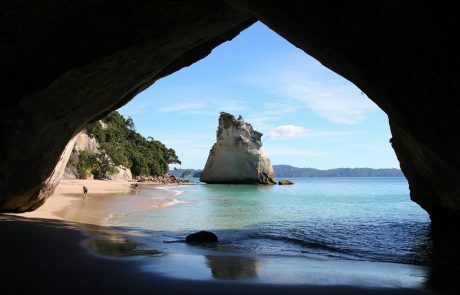 Another marine reserve, this area is reputed to have the best scuba diving in NZ, and has been rated one of the world’s “Top 10 Diving Spots”. 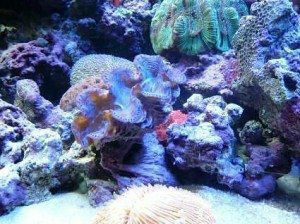 The islands are bathed in a subtropical current from the Coral Sea, so varieties of tropical and subtropical fish not seen in other coastal areas can be seen here. There are underwater cliffs with a labyrinth of archways, caves, tunnels and fissures. There are also wrecks of two navy ships to explore. Late in the afternoon depart for Whangaruru, an old whaling base in an idyllic anchorage. Depart for the Bay of Islands after breakfast. Long famed for its stunning island scenery, the many islands are punctuated by dozens of coves where the clear waters range in hue from turquoise to deep blue. Over the next two days enjoy a variety of activities. • Lunch in historic Russell, and after lunch enjoy exploring the town and its lovely waterfront. • Taking a cruise in the tender up the Keri Keri inlet to the Old Stone Store. Disembark and fly to Queenstown for more adventures. While in Queenstown try bungy-jumping, skydiving, white water rafting or play a round of golf on the private course that will be hosting the next 3 New Zealand Opens.